Yes! And I'm back to do it again! 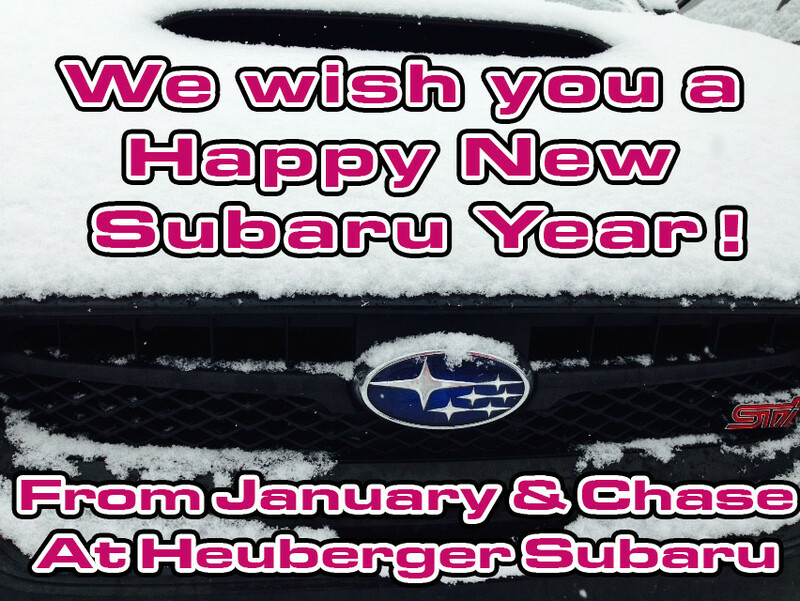 No, but I'm considering buying my next Subaru from Heuberger! Not yet! But will be soon! A WARM WELCOME FROM HEUBERGER MOTORS! Last edited by HeubergerMotors; 08-17-2017 at 05:25 PM. IN-STOCK OR ENROUTE TO HEUBERGER THAT ARE UP FOR GRABS! Email us at [email protected] for a quote! Don't forget to go check us out on Facebook! You never know...you might like it. We're doing a photo contest on our Heuberger Motors Internet Forums Facebook Page! This one is for a mystery bag that has some really great limited edition gear, plus a $50 Gift Card for use in our parts or service department. SPOILER: You get a crack at our limited edition "Stealth" Growler from Growl Fest 2014. These were an "oopsy" and even if you were at Growl Fest, you don't have one of these! Details on the click through. I had the honor of handing over the keys to the winner of a 2014 Subaru XV Crosstrek yesterday! The Subaru Share the Love Event is going on now! By the end of this, our seventh year, we'll have donated $50 million to charity, one new Subaru at a time. Purchase or lease a new Subaru before January 2, and we'll donate $250 to a choice of charities that benefit your community. ASPCA, MAKE-A-WISH Foundation, Meals on Wheels, and the National Park Foundation. We at Heubeger are also supporting two local charities that are near and dear to our hearts. The Humane Society of the Pikes Peak Region and UpaDowna! Get ready to say "HELLO!" to the 2015 Subaru XV Crosstrek and the 2015 Subaru XV Crosstrek Hybrid!!! Coming soon to Heuberger Motors!!! Email us now at [email protected] for info on our incoming inventory or for placing a custom order!